The summer is in full swing, and that means an influx of invites to fun pool parties where you can sit poolside with family and friends and take in the sun’s lovely rays. Make sure you’re ready to hit the pool with all of these fun fashion ideas and make for a summer you’ll never forget. 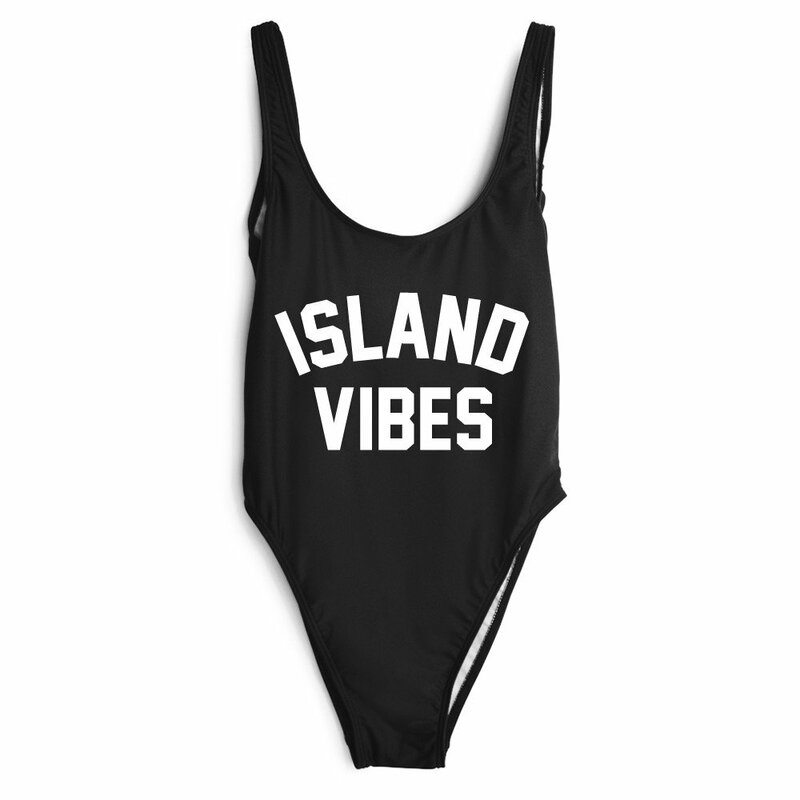 We’ve all got plenty of bikinis in our closet drawers, but do you have a saucy one piece? This is the trendy swimwear of the summer, and this year, showing less is truly more. It’s surprising, but actually switching to a one piece can make it harder to find a flattering style. That’s why it’s important to try all types. One of this summer’s most hilarious and eye-catching swimsuit collections of the year comes from Private Party. Whether you want your suit to read “Bae Watch” or the hilarious “I Looked Like Bey on My Wedding Day”, you’ll find a swimsuit statement piece—no pun intended. You can’t talk about summer fashion without bringing up American-themed apparel, especially if the pool party you’re attending is honoring Memorial Day or Fourth of July. I’m a sucker for cute American flag bikini tops, but you can find the stars and stripes plastered across clothing items of all types. Check out this awesome collection of Tipsy Elves women’s American flag clothing. From shirts to even eye-popping pants, you’ll find something people are definitely going to compliment you on. Too much sun exposure can be detrimental for your skin and tire you out before the party is even in full swing. That’s why it’s important to have the perfect cover up to throw on while you’re not in the pool or getting your tan on. One trend I love is the chambray shirt. It’s easy, can look done up or relaxed, and you can find longer dress versions that make for a perfectly chic poolside cover up with an elegant twist. Check out Maurice’s denim shirts and dresses to find your perfect match. At no time of year are our feet more on display than summer, and if you’ve got a cute pedicure you’re ready to show off, you’ll want to make sure you’ve got the right shoes to highlight them. Espadrilles are the shoe of the season, to be sure, and they’re versatile to an extreme—wear them in just your bathing suit or throw on that evening cocktail dress when the sun goes down. You can find these bad boys with a heel or flat, so you’ll locate the perfect match for your personal style and every poolside outfit in your closet. Channel your inner sailor by sporting some glorious stripes while sitting poolside. We love the nautical look, and it’s easy to emulate by sporting those gorgeous (and not to mention, patriotic) white and blue striped shirts. Want to really capture the sailor’s nautical look while watching those fireworks light up the night sky? Grab a pair of slip-on boat shoes and really go all-in on your new outfit motif. Don’t forget the captain’s hat! It’s hard to pick out a particular look for a pool party. You don’t want to overload your face with makeup just to have it all run off in the pool, but you want to look and feel your absolute best for any fun pictures that might turn into your new favorite Instagram pic. My new makeup obsession has been foundation that incorporates SPF protection within its powder. You can find a variety of brands that will keep your skin looking its best, and you’ll have the peace of mind knowing that your face is protected from harsh UV rays. Whether you’re feeling the summer rays and sweating a bit, or you’re in the pool for the majority of the day, the last thing you want is your mascara to run down your face, so I always make sure to wear a waterproof mascara, like this one from Tom Ford. Make a splash with your fashion choices this summer and keep these poolside fashion must-haves on your list. My Fav SwimSuits Picks for Spring 2016 & a 20% OFF Discount Code for my Readers! Hey lovelies, warmer weather is finally here and that means bathing suit season is right around the corner! I’ve shopped for some of my favorite styles for 2016, and here they are! Cute retro high waisted two pieces, fun printed monokinis, cut-out one-pieces, brightly colored bandeau one-pieces and more! Click the picture or link below to shop my favs! Savvy-style doesn’t have to break the bank — stock up for spring with ModCloth’s freshest items on sale! While supplies last, they’re offering some of their fabulous swimwear at 20% off and spring fashion at 50% off!